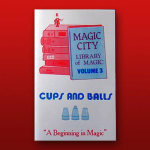 Learn professional secret methods and moves for the Cups and Balls! Learn the top professional tips and tricks! Please note: this page is for ordering the instruction DVD only. 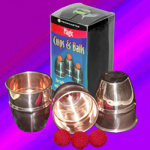 A Cups and Balls set must be purchased separately. Get the most out of your set of Cups and Balls! With this Complete Course TWO-DVD SET you'll learn EVERYTHING you need to know, from basic moves to very advanced professional routines. There is a LOT of material here! So much that it takes TWO DVDs to cover it all! By learning the secret techniques revealed on this incredible DVD set, you'll quickly become a master of this classic effect. 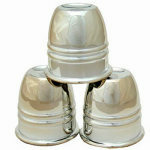 Learning by DVD greatly reduces the time it takes to master the Cups and Balls! It's so much easier to learn when you actually see it done and explained by a professional magician! From his performances in the USA to the far reaches of Japan, Eddy Ray has proven to be the master of the Cups and Balls. Now, for the first time, he's revealing his secret methods and moves just for you. 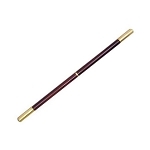 His instructions are clear and easy to follow, and his techniques are highly effective. 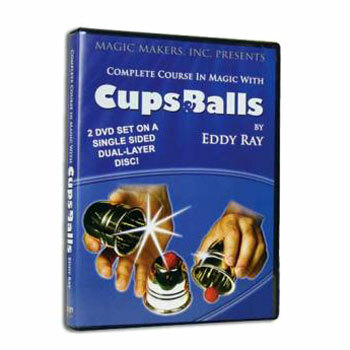 This DVD set features over 75 of the best moves, sleights, secret loads, and manipulations performed using Cups and Balls. This is an instructional DVD set only. 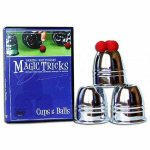 To do the tricks shown on these DVDs, you need a set of Cups and Balls. See more CLOSEUP PADS and CLOSEUP MATS! DVD SET ONLY. 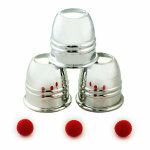 You will need a set of Cups and Balls. A tremendous course. In general I find myself preferring the DVDs to books because it's more like having a teacher, and it helps to watch in real time. This course really does take a very complete scope. I've built my own routine off of this DVD, and am very pleased with the results. Absolutely worth it! Buy this item - get 35 Rewards Points!